Nov. 23, 2017 11:41 a.m. 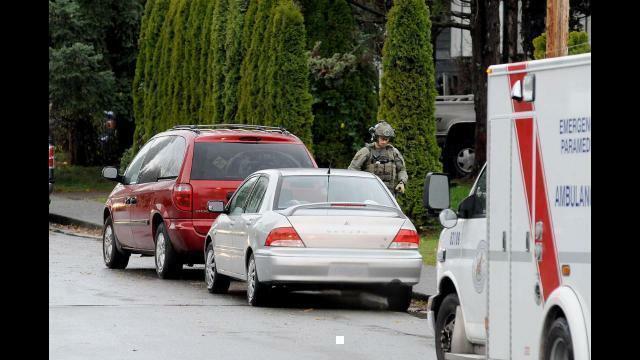 The RCMP’s Emergency Response Team assisted Langley RCMP with executing some warrants at a Langley City property on 52 Avenue on Thursday morning. The warrants are in relation to a dial-a-dope investigation, said Langley RCMP Cpl. Holly Largy. The ERT vehicle is brought in to assist when police have a concern there may be weapons at the residence.